Thanks to our tremendous sponsors who kept us going as always: Thorlo and Foot Kinetics for keeping our feet healthy and warm in the jagged lava-rock and grit of Icelandic volcanoes. SOURCE hydration for quenching our thirst. Kanpas Compass for keeping us found. At least when we didn’t screw it up. And Trail Nuggets for fueling us and satisfying our hunger as the days grew longer. One year ago, on his podcast TA1, Legendary Randy took an hour to discuss all things Adventure Racing with elite racer, Aaron Prince. I was particularly intrigued by Prince’s ruminations about Mountain Marathons, events I had never heard of. No, these aren’t the sort of races that span 26.2 miles of rugged trail. Instead they are uniquely formatted hybrids of fell running and orienteering. I listened intently to his stories about various Mountain Marathons, all inspired by the Original Mountain Marathon, lovingly known as the OMM. Yes, like the Yoga chant. I told Abby to listen to the podcast, and we both immediately began fantasizing about running our own Mountain Marathon inspired event under the Rootstock banner. 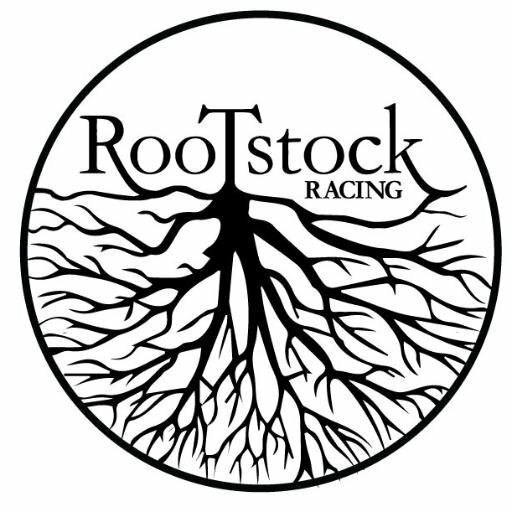 So was born The Stockville, arguably our favorite Rootstock Racing event. It wasn’t too long after listening to Aaron Prince’s podcast that we celebrated our ninth wedding anniversary. Looking ahead, I half-jokingly noted that we should do something crazy in 2017 for our tenth. As we were married on Memorial Day weekend, we are gifted with a long weekend every year, and I thought I might be able to wiggle one day off from work so we could justify hopping a plane to Europe or something for a four day whirlwind. May 2016 turned out to be a nexus of good ideas, though we didn’t realize it at the time. Summer and fall passed us by, and our attention was focused on directing our first Stockville at the peak of fall foliage. Sometime last fall, we were perusing the OMM website, and we noticed they were running an event in Iceland on…you guessed it, our anniversary weekend. We sat on the idea for a while, and sometime around New Year’s, we took the plunge and registered for the race. For those not familiar with a Mountain Marathon, here’s the idea: teams of two start on Day 1 and travel to a mid-camp. On Day 2, teams travel to the finish. Some courses are linear in nature, some are score-O. Competitors carry all their gear (unlike in our fall Stockville race when we transport tents and cook gear for teams) for the duration of the event including food, and they spend the night at mid-camp. For OMM Iceland, 2017, the course was score-O only, and teams had seven hours on the first day and six hours on the second to collect as many points as possible with controls having different point values. We were bussed to a start-line on a gravel road in the middle of rolling lava fields, mostly blanketed in a thick moss and a thicker cloud. The OMM staggers the start, letting teams go every minute or so, and we wouldn’t see the maps until our time officially began. Making the most of Iceland before the race. Thumb and Geysir photobombs! We were tired. Life in general has been non-stop, and the lead up to the race wasn’t exactly restful. We had jumped on a 630PM flight out of Newark on Thursday, but we found ourselves in Iceland five hours later, transported across time. It was 5AM on Friday, and neither Abby nor I had done more than doze for an hour or two flying across. Rather than take it easy, we wanted to make our one full, non-race day count, so we rented a car, drove the Golden Circle, ate ice cream, walked alongside magnificent waterfalls and stopped here and there to keep ourselves awake or take a quick AR-style nap on the side of the road. Somehow we made it through the day, and we did sleep heavy on Friday night. But our excitement to race was masking exhaustion. We had “big” packs. They actually were bigger than they looked and not as heavy as some of the experienced OMMers speculated. Still, our packs were on the big side for the event, and we knew there were a number of teams that were probably traveling with several pounds less. Honestly, we weren’t expecting to be competitive, and we also chalked it up to good training for the World Championship. The race was populated by experienced orienteers and fell runners, not to mention seasoned vets of the OMM. We’re not built to compete with such athletes, and we know it. We talked briefly before our start time and decided to look at the map for a minute or so and head out of the start area. We could plan more on the way. Here was our first “mistake”: we looked at the map as planned, set off as planned along a long stretch of road but we didn’t look at the map as critically as we should have as we jogged off. We knew that the six eastern-most points were only accessible on Day 1, and so our goal was to head out there directly. Had we examined the maps more closely, we MIGHT have adjusted our strategy slightly, and this might have led to a better first day and a better finish overall. Even then, though, I’m not positive we would have changed our route as the problems we encountered were more of the unpredictable variety. Ultimately, we had more fun with our route than we would have, had we modified it in the ways we have discussed since. Pete and Shari, ready to roll at the misty start of OMM Iceland. The first point was up in the foothills of a high ridgeline. The road we were running for much of the first 45 minutes or so rolled around a flat plain and junctioned with a trail that would take us close to the point. As everyone had discussed, traveling on roads and trails was usually faster and one could navigate much of the course on Day 1 simply by running roads and trails. Here we are! Stupid Americans…Here we are! Well, we quickly decided to have some fun and we jumped off the road allowing several teams we were traveling with to stay on the road for longer distances. The terrain looked manageable, and we found we were able to run along the base of the foothills without slowing much. We caught some teams at the first point who had used the trails, and we were feeling good about our start. Problem 1: it was quite foggy and hard to see, conditions that would hamper everyone all day long making navigation more challenging. Not to mention the 20 meter contour intervals on the map which meant massive volcanic mounds and reentrants didn’t show up on the maps. Problem 2: we quickly learned that trails were suggested routes, often only visible with the help of painted posts…which were not always easy to see in the fog. So, we spent a couple of minutes trying to figure out where this mapped trail was with no luck, and we finally just headed up into the mountains. What came next was a spectacular journey up and along an exposed ridge. We climbed around rock formations, found ourselves next to bubbling, unmapped geothermal pools, and totally unsure if I had a clear bead on the maps; there was just so much unmapped big terrain up there. Our pace was slow, not because of the terrain or our packs but because we couldn’t see well, and I was being extra cautious with the maps. Finally, we found the lake, and I breathed a sigh of relief as we had traversed the ridge exactly how I had wanted to after giving up on finding the trail. We had lost a decent chunk of time, but it was well worth the adventure. And that basically was the theme of our day. We picked off four of the controls on the eastern side of the map, making better time for a while, and then we set off to travel up and over a high ridge, hoping to reach a cluster of three or so more points before taking on a long run to mid-camp. We had no idea how the “lavawhack” would go, and by the time we began we had a feeling we would be late. But again, we decided to just have fun with it, so off we climbed. The climb up went well as we disappeared into the fog and mist. Giant formations of rock and impassable cliff faces emerged out of the haze as we scrambled up. We had a blast and managed to summit in less than twenty minutes. But as we feared, when we began to look for a way down, time sped up, and the minutes sped by as we found ourselves cliffed-out and looking for a way down. Ultimately, we managed a safe descent and found ourselves in a massive flat space, dotted with looming formations that once again didn’t appear on our maps. I was careful to follow my compass as we wanted to head west, crossing a road and some trails for the final points of the day. Alas, I either didn’t follow the compass well enough, or the volcanic rock was affecting the compass a bit, because we found ourselves running further than we expected, and when we finally did hit a trail, it did bewildering things. We spent 10 minutes or so trying to sort things out, and I did notice my compass was tracking rather slowly, making me wonder if perhaps we had wandered a bit. Finally, we gave up and started running south along the trail, the general direction of Mid-Camp. Several minutes later, we found…AK. Again. And I cursed a bit. We had drifted quite a ways south after summiting the ridge. A stunning distance in fact. Our hopes of bagging those last three points evaporated in the clouds and rain, and we worked our way across another kilometer or so to pick up the road that would take us in. Our spirits were low, but we were happy to see a number of other teams running in as well. All seemed in similar spirits, and it was clear we were not alone in being late. On the way back in, we were able to quickly pick off two easy points that would help offset our time penalty a bit. We made it into Mid-Camp 22 minutes late, which meant a 44 point penalty. Oh well! The day hadn’t gone according to plan, but we had traveled through an incredible landscape of mountains, valleys, hot springs, and lava formations. We felt confident that we would do better on Day 2. And we now had the pleasure of camping with friends next to the ocean. In Iceland. Mid-Camp, a grassy oasis nestled among all the lava rock, sheltered from the stony black beach by a wall of lavarock, waited on the other side of a culvert. When we rolled into camp we were surprised to see that there were a fair number of teams still out. We spent the afternoon and evening chatting with new friends and hanging out with Pete and Shari who had come across the pond as well. They were already in and had set up their tent, and once we were all settled, we compared stories, cooked and ate our food, wandered along the lava beach on the rolling Atlantic, and ate some more. As it turned out, a lot of teams had similar issues as we did, and some came in well over an hour late. 19 of the 37 long-course teams were late, and 15 of the 21 short-course teams. Nearly 60 percent of the entire field, and many seemed to have the same issues: nav issues in the fog, underestimating the terrain, and finding themselves too far out on the eastern side of the course. We were ranked 22nd overall out of the long-course teams, and we were tied for third in the mixed category. We worked out our plan for Day 2, discussing three or four iterations of a route before settling on our final plan. And then we went to sleep. Well, we pretended to sleep, and we were amazed that most others seemed to sleep well despite the fact that it remained lighter than it had in Alaska when we raced there two summers ago. We started packing up the next morning around 5, grateful for our expedition racing experience considering we basically hadn’t slept two of the last three nights. Cooking our second dinner of Mid-Camp with Pete and Shari. After our unplanned adventures on Day 1, we felt it would be wise to play the day a bit safe, shortening our distance knowing we might drop some points that MIGHT be accessible if we took on more distance. We’d start off with a road run, bagging some easy points along the way north, before heading up into a pocket of volcanic peaks and ridges that would keep us off-trail for a couple of hours. As was true the day before, we had a wonderful time traveling off-trail, and we found ourselves running with or around some strong all male teams. We had crisscrossed with some other mixed teams, and while we didn’t know for sure who our competition for the podium was, we felt that we were making up ground on at least a few teams. In addition, we were nailing the nav, which was made significantly easier by better visibility, and our route choice seemed more efficient than many of the other teams we observed. Traversing steep scree and dirt slopes. The traverse wasn’t too bad. But the prospects of slipping into all the razor-sharp volcanic rock shards kept you on your toes. With about two hours left we found ourselves alone for the first time in a while. The two all-male teams we had been with had seemingly peeled off onto a slightly more conservative track. We continued making steady progress, but as we ascended onto the last high ridge, the winds began to roar, the rain sleeting sideways. Eyebrows arched, we momentarily compared the conditions to Ireland, agreeing that we weren’t quite there yet, but steeling ourselves against the punishing conditions which were climaxing as we found ourselves totally exposed. By this point, however, we were close to done, and I at least was enjoying the elements in their fullest. Trail Nugget break as the clouds and wind rolled in. As we neared the finish, we went back and forth on whether to make a run at one last point, but we ultimately decided not to risk it and headed to the finish in the center of Grindavik. We ran into the finish, a comfortable 25 minutes or so before our six hours expired, and we were thrilled to find we had moved up 10 spots to settle in at 12th overall and first mixed. We took note of the fact that a smarter and more accurate route on Day 1 might have propelled us into the top five if not higher, and even though we didn’t achieve that we felt good about our performance considering our loads and the fact that we passed ten teams on Day 2, finishing in a tie for 5th for Day 2 (based on points). It really was a tremendous event. The race was well organized, the terrain magnificent, the community welcoming, and Iceland an amazing place to travel and play in, even if only for a few days. And when it was all over, we found ourselves basking in the Blue Lagoon, exchanging stories with other racers, soaking in the thermal, azure waters, and floating about in the mist. And that was before we headed back to Reykjavik for an exquisite seafood dinner with Pete and Shari. While it would be unfair to compare the experience to a major ARWS event, it was without doubt one of the absolute best race weekends of our careers. Two lost night of sleep, two days of epic beauty, racing, and weather, and an afternoon soaking in hot springs. Priceless…though a bit unnerved to see we were surrounded by zombies, and we didn’t even know it. Special thanks to OMM for hosting a great event and for being so welcoming to all new OMMers, and congratulations to Nick Barrable and Tom Fellbaum for their overall win. Not only were they impressive competitors, but they also were gracious in victory, and it was a pleasure to meet and speak with them about racing, gear, and common friends. We met many more amazing people over the course of the weekend, and we left with nothing but the fondest memories of our journey through Iceland. Next time, however, we might take the competition side a bit more seriously. I’ve already sorted out how to cut our base weight in half. At least.